As its own separate city and state, the Vatican is well-worth a visit when in the Eternal City. Luckily, we have a wide variety of Vatican tours available, which we’ll be detailing on today! From early access to rarely-seen sights, we’re chatting about it all in our in-depth Vatican tours guide. Whether you’re new to Rome or not, a visit to the Vatican Museums is an essential to cross off any bucket list. But why not make it a guided tour to really make it worthwhile? With Skip the Line Access and exclusive entry through a separate partnership entryway, you’ll be joined by a specialist guide to perfect your time in the Vatican. On our Vatican Museums Group Tour, you’ll visit a number of famed attractions and artistic works: the Holy See, the Sistine Chapel and Raphael Rooms being just some of the examples. You’ll also get to traverse St. Peter’s Basilica and see the world-renowned Pietà, while polishing off the tour in St. Peter’s Square. For an enjoyable day out that provides you with a wealth of history and interesting insights, a Vatican Museums tour is the perfect activity. You’ll also have the opportunity to explore on your own with our Vatican Just Tickets Experience. With instant entry to the museum through our specific entrance, you’ll avoid the long lines and will have all the time in the world to traverse the sights at your own pace. We know that size of the museum can seem overwhelming, but not to worry – we’ll include a map along with your tickets to ensure that you can plan your visit accordingly. You’ll be able to visit the Sistine Chapel to see Michelangelo’s masterpieces, but we recommend our First Entry tickets if this is a priority for you. These tickets allow you to enter 30 minutes before the general public, allowing you to dodge the chapel’s routine chaos. We could all do with making things a little easier on ourselves, are we right? As one of our most exclusive tours, the Sistine Chapel Express Tour is an assured activity for everyone when in Rome. It provides access to the Vatican Museums 30 minutes before other tour operators, and a whole 90 minutes before the general public. Just imagine it: a visit to the silent and serene Sistine Chapel minus the endless bustling crowds. It’s definitely a scenario to take full advantage of, so we can’t help but recommend it! It’ll give you a chance to inspect Michelangelo’s Last Judgement and incredible ceiling in detail too, which is nothing but a good thing. Following the Sistine Chapel, you’ll also have Skip the Line Access to the impeccable St. Peter’s Basilica and the Vatican Crypt, which will round off your Sistine Chapel experience perfectly. Our Extended Vatican Tour has all of the benefits of our other Vatican tours, and more! You’ll have instant access to the Vatican Museums though our Exclusive Partner Entrance, as well as being able to explore the traditional favorites alongside your expert guide: the Sistine Chapel, the Raphael Rooms and the Holy See. This tour guarantees special access to the normally off-limits Bramante Staircase, which is a privilege to see when visiting the Vatican Museums. With a longer tour that’s slightly more in-depth, this is a well-rounded Vatican experience that encapsulates all of the best highlights of this incredible chunk of history. If you have an interest in the world’s religious traditions, then this is the perfect tour for you. During the Papal Audience Experience, you’ll receive an in-depth insight into the history and traditions of the Papacy, while getting to see the Pope in person! Despite being a busy event, we’ll book your tickets to ensure that the day runs smoothly for you, as well as securing the best vantage point for seeing the Pope. At the event, you’ll watch the Pope join the Cardinals on stage, give a special greeting to the crowds there to see him, and perform blessings, hymns and homilies. If you’re on the look out for a memorable and spiritual experience, this is a sure bet! With up to 100,000 people gathering on any given day, we can assure you that this isn’t an event to be missed! Don’t forget to check out our full range of Vatican tours! 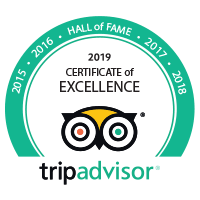 A City Wonders tour is the product of meticulous research, detailed planning, and a passion for providing customers with travel experiences they will cherish forever. With City Wonders it's not just facts, our passionate guides tell you the stories that bring the sights to life. Copyright © 2019 City Wonders Limited. All Rights Reserved.